Change seems to occur at an ever-increasing speed, making forecasts – especially those concerning long term scenarios – an extremely risky business. Forecasts often lead to disappointments, both for management – employees – shareholders and other stakeholders. Because of the complexities, we can always find excuses: Organizational developments did not always have the impact as expected, or employees/leaders turned out to be less suitable for the job than hoped for. Does this mean that we should stop making forecasts and not plan at all? No, that is certainly not my message. We should continue to make plans, provided we make our plans as flexible as possible. Making plans flexible means that organizational developments and career plans have to be adjusted more frequently than we were used to. Both leaders and employees have to learn to anticipate market and political trends more quickly and adapt to them. Some of those market trends are listed below, we all know them well, but have we all adapted our organizations? More self-confident employees having their own views about the quality of life, work, and career; more focus on career and personal development and less loyal to just one company during their career. These trends reflect the necessity of organizational flexibility and adaptability. As changes are occurring at an increasingly faster pace both inside and outside the organization we might want to re-think our attitude towards “changes” as well. 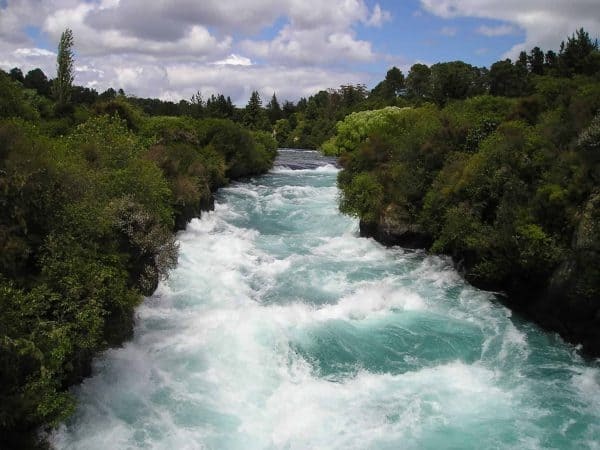 We cannot approach them any longer as “once-off” rapids which have to be evaded. Changes are a permanent phenomenon providing opportunities and risks. So how can we learn to deal better with an increasingly greater degree of unpredictability? To illustrate the above I would like to share the story of “permanent white water”, often told by Roosevelt Thomas, president and founder of the American Institute for Managing Diversity Inc. The dynamic environment of change can be compared to a rapid, white water raft ride. The employees are the navigators of the raft. Each individual must take an oar and do his or her part to propel the raft forward. But as we look ahead and see rapids approaching, we ask ourselves “How will we meet that challenge?” There are two mindsets we can take. One maintains that although we see the rapids, there is a pool of calm water beyond. If we simply can survive the turbulence, we will make it to the calm water. In this mindset, we think: “This is just temporary”. If we get through this, things will go back to the way they were. Then we can enjoy the calm, easy-going ride. The alternative mind-set is to realize that today there are no longer easy rides through pools of calm water. Many organizations are finding themselves in permanent white-water. We are faced with meeting new and more demanding customer’s needs, keeping pace with changing technologies, mergers, transitions, globalization, etc. To successfully navigate in this permanent white water, everyone in the raft must be given the opportunity continually to give their best effort. Everybody has to be motivated, inspired, empowered and engaged to contribute their full potential. The leadership abilities that it takes to navigate permanent white water are different from those to survive one series of rapids to reach calm water beyond. N2Growth’s Executive Search Practice helps organizations navigate their way through a continuous white-water environment. We bring organizations and experienced leaders together to not only navigate their organization through a specific white water environment, but to navigate their organization to outperform competition.